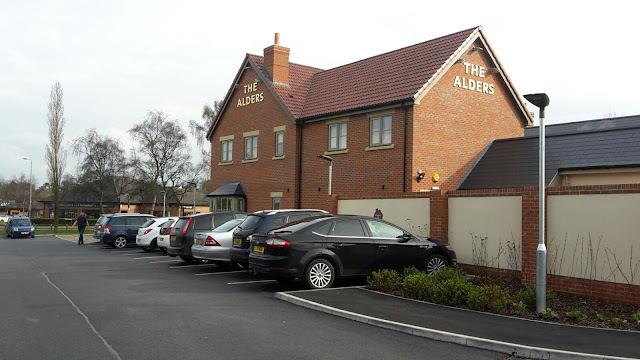 At Ollerton roundabout on the A614 a new Marston’s pub recently opened- The Alders. With a Mc Donald’s, Fish and Chip café/takeaway and petrol stations nestled round makes this an ideal location for a pub with a hefty volume of traffic passing by. The pub promotes takeaway coffee, cakes and has the luxury of free WiFi..
Jemma recently decided to treat her mum and niece for a Friday afternoon tea out. I found that this pub did carveries as its main part of the menu which hoped would please mum. Coming into the Pub we had a great welcome from our server who showed us to our seat and thankfully near the children’s play area. This pleased my niece greatly as she was occupied until her food arrived and I saw this as working up an appetite. We was advised that needed to pay for our food at the bar as the servers didn’t deal with payments. We decided on a small carvery (£4.25), medium carvery (£6.25) and Shanai opted off the smaller kid’s menu (£3.49) Burger, chips and sweetcorn. The difference in plate sizes was minimal between the small and medium plates but if you have a hungry person dining the large plate is indeed large. 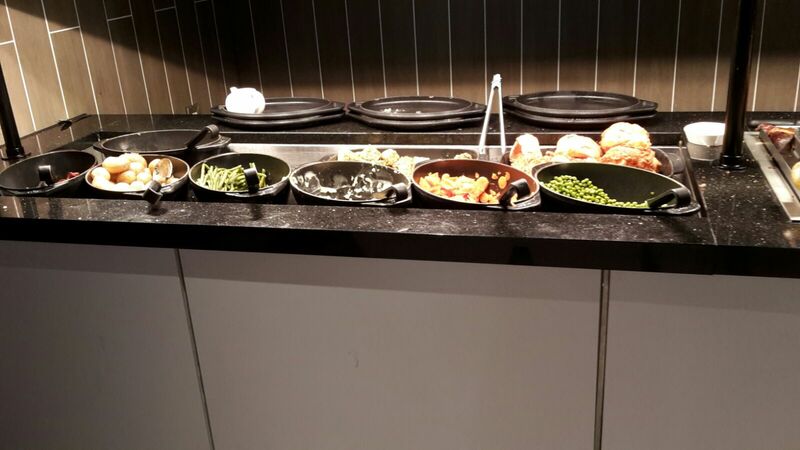 veg options were all fresh and no signs of been out on the hot plate too long Seasonal veg on offer was Peas, carrots, green beans and cauliflower and baby new potatoes. Roasted parsnips and potatoes also offered. food which resulted a well­-deserved pudding choice at £1.35 each she chosen Jelly and Ice cream which again wasn’t much left in the bowl. This was pleasing to see as a picky 5 year old as she doesn’t always eat much while we dine out. 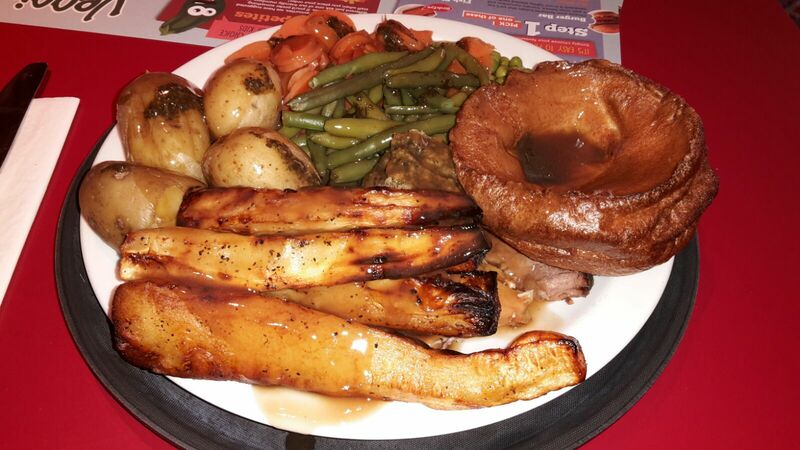 usual Toby Carvery which is situated between Mansfield and Sutton­in­ Ashfield and certainly more of a trek from home. 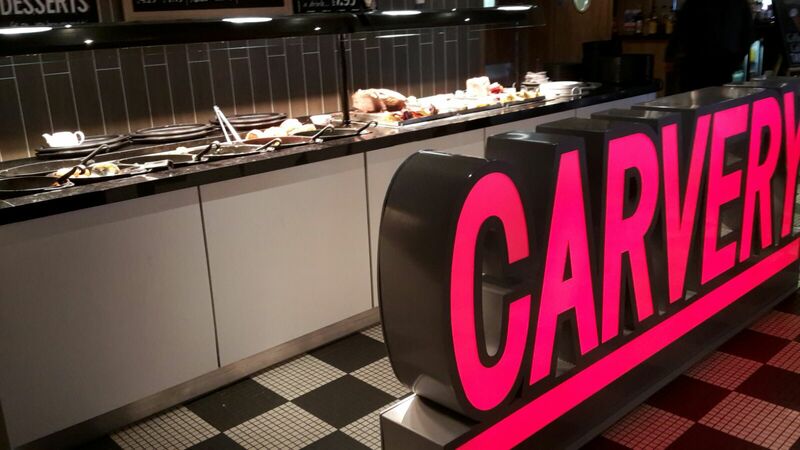 Well worth a visit if you like a good carvery and it's well situated if you're heading up to Sherwood Pines or Clumber Park and want to grab some food on the way back to Nottingham.